line 196 col 18: Avoid using braces in interpolation when not needed. line 196 col 24: Avoid using braces in interpolation when not needed. line 204 col 50: Avoid using braces in interpolation when not needed. line 244 col 30: Avoid using braces in interpolation when not needed. line 244 col 36: Avoid using braces in interpolation when not needed. 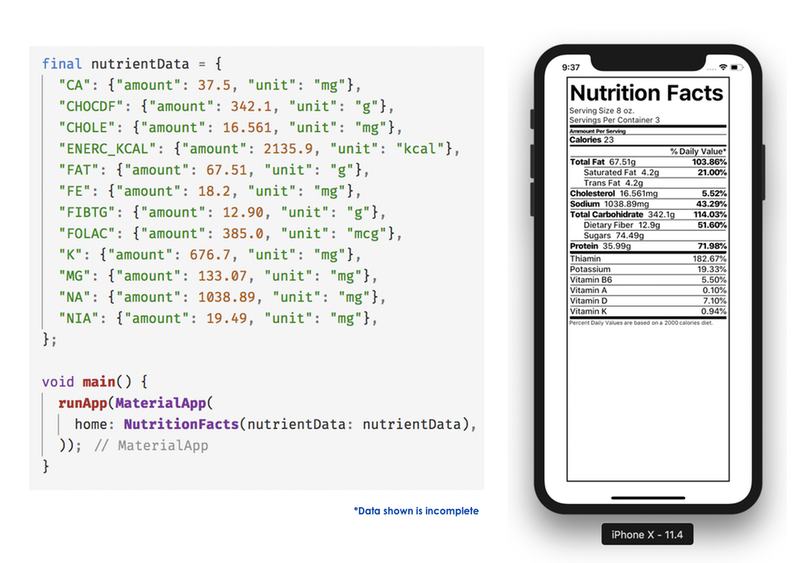 Widget for rendering Nutrition Fact labels.